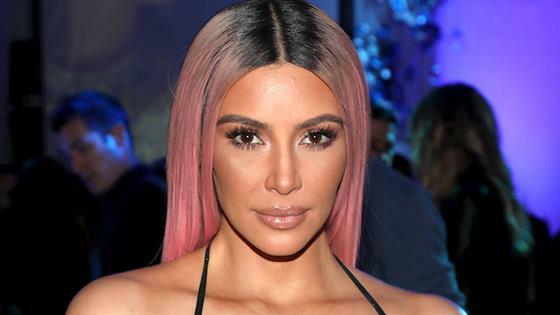 Kim Kardashian took a break from her much-loved straight and sleek hair to show the beauty of her natural texture at the CFDA Awards 2018. To pair with her cream Rick Owens ensemble and warm-toned makeup, Color Wow Global Creative Director and Kim's longtime hairstylist, Chris Appleton, created a high ponytail that demonstrated the star's naturally wavy hair. The look is impactful with its effortlessness on the red carpet, yet it's also a style that you can recreate from the comfort of your home, making it the perfect red carpet beauty inspiration. To achieve the look, the pro prepped her hair by adding the brand's Brass Banned Correct and Perfect Mousse for Dark Hair, which enhanced her wave pattern and reduced any frizz. To keep the hair in place, he used a diffuser (not a hairdryer), then added a gloss treatment from middle of her length to the ends, giving it an added shine in front of flashing lights. Then, to make her waves more uniform, the pro used ghd Curve Classic Curl Iron on various sections of her hair, then placed her hair into the ponytail. To complete the look, he pulled hair out from the ponytail to give a softer look. The change to her usual look comes at no surprise. During the ceremony, the Keeping Up With the Kardashians star will accept the first-ever Influencer Award, so it makes sense to demonstrate the versatility that keeps her audience hooked on the red carpet.